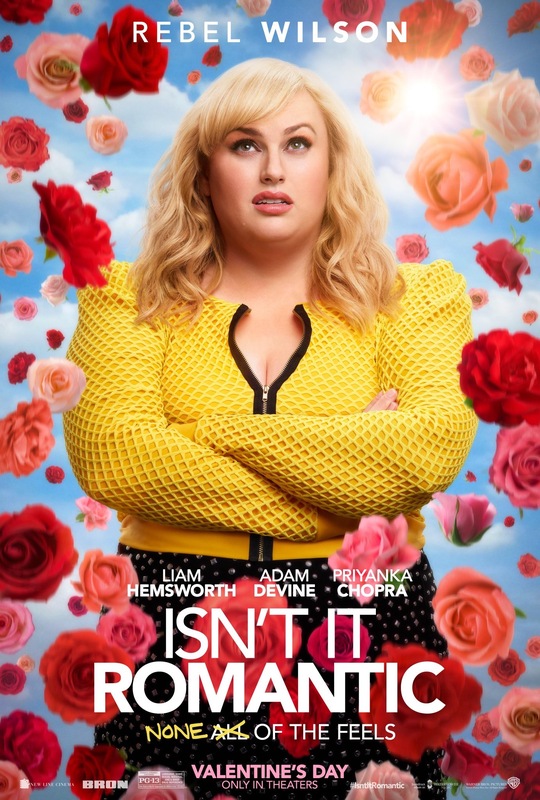 I have never been a huge fan of rom-coms, but the promotional materials for Rebel Wilson’s new project, Isn’t It Romantic, seemed to take the genre and satire it. The trailers were fun so I thought I would give this one a chance. And I am really glad I did, because this was a lot of fun and an enjoyable time at the cinema. It does a weird thing too. It makes fun of romantic comedies, all the while, being one. Natalie (Rebel Wilson) was an architect who was down on love and her life and was lacking confidence in herself. When she hit her head during a mugging, Natalie woke up in a New York City that was right out of a rom-com. Everything was perfect and her life and job were way better than she remembered. It was not long before she realized that she had been caught, somehow, inside a romantic comedy and she started looking for a way to escape back to her own dirty and grimy world of NYC. The idea here is very clever and creative. Rebel Wilson is the perfect lead character for this type of genre satire, as she delivered all the tropes and the cliches normally found in a romantic comedy and called them out as they were happening to her. She did it in a charismatic and funny way and it helped create a bond with her and the audience. The cynicism she showed truly masked her true feelings and they were on display. There was a fourth wall-esque breaking without actually breaking the fourth wall. The writing was also very clever, as it threw in allusions to many of the classic rom-coms of all time, from Pretty Women to When Harry Met Sally to Jerry Maguire. There were also several musical numbers that were used here that were so cheesy and over-the-top that they turned out wonderfully and fit right into the tone being set. The people who created this movie clearly loves romantic comedies and have made a film that not only points out the genre’s flaws, but also lovingly includes them in their story. The movie is a quick watch and is entertaining.